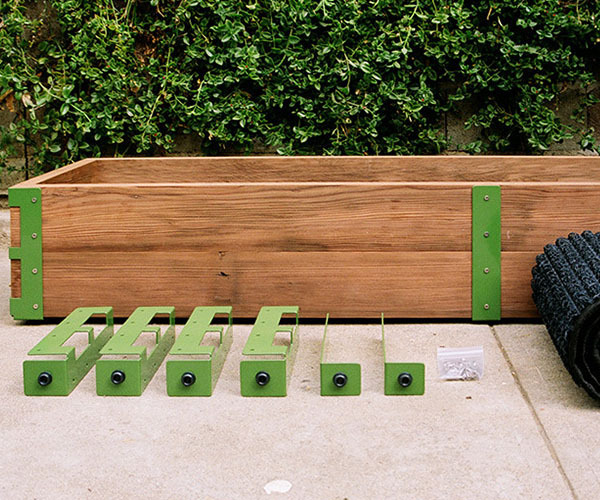 If you want to sprout a garden in your urban space with ugly soil or no soil then you will want a little help from one of these DIY kits. 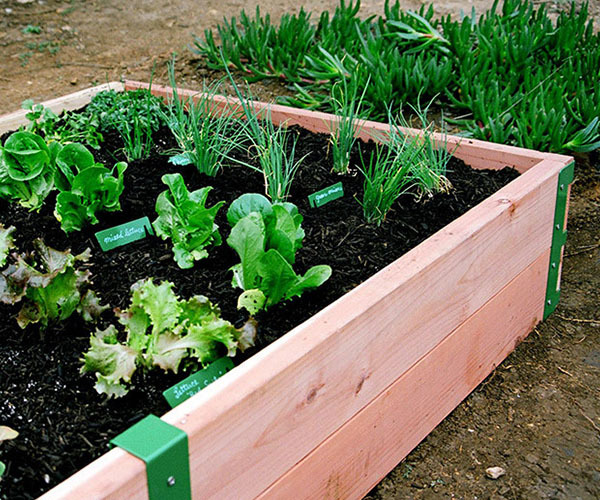 If you have a little unpaved real estate then there is a raised bed kit with stakes or if there is no patch of soil in site you can also choose a patio kit that comes with a 40% post-recycled material drainage mat. 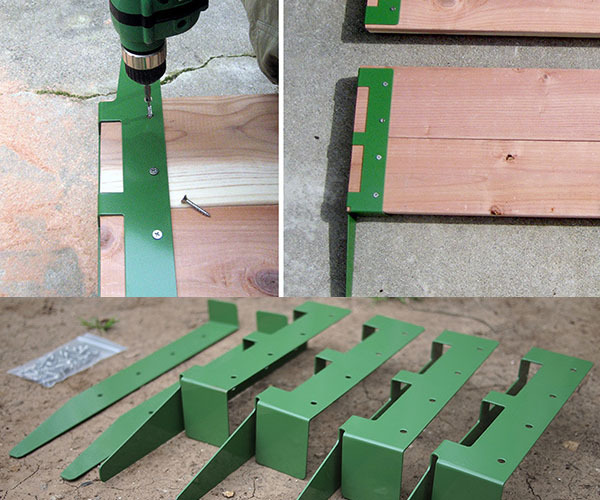 Each kit has powder-coated steel brackets manufactured in L.A. that you assemble with 4′ X 6′ studs to create the walls. 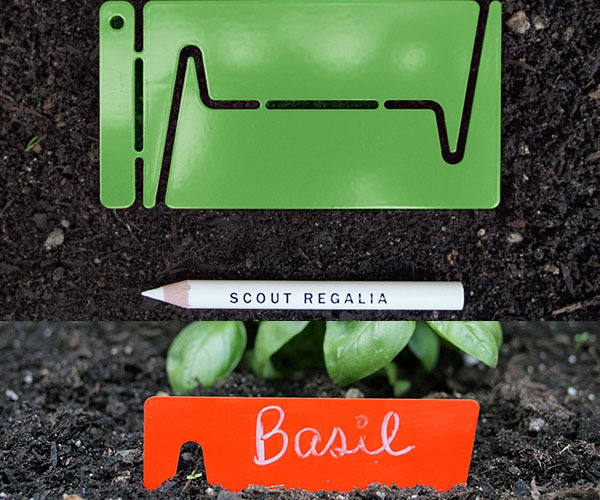 Top it all off with some soil and mark your garden with matching powder-coated ID tags and you got yourself a place to start planting.